Obituary for Camille (Long) McDougald | Bill Head Funeral Homes and Crematory, Inc.
Camille Long McDougald, age 76, of Jefferson, formerly of Duluth, entered into rest on January 18, 2019 after a hard fought battle against pancreatic cancer. Funeral services will be held at 11:00 AM Tuesday, January 22, 2019 at Bill Head Funeral Home, Duluth Chapel. 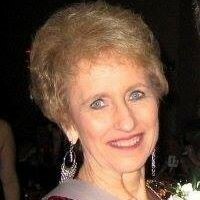 Ms. McDougald was born in Jacksonville, FL and was a retired administrative assistant. She was an active member of the Beta Sigma Phi sorority where she had many dear friends who she shared time serving in various community projects. She loved to travel and spend time with friends and family, especially her five grandchildren. She is preceded in death by her mother, Edith Lipps, father, Harry Long, and brothers, Ralph Lipps and Mark Long. She is survived by her daughter, April McDougald Howard (Scot) of Jefferson; son, Scott McDougald (Dawn) of Athens; grandchildren, Sydney McDougald, Summer McDougald, Sawyer McDougald, Katelyn Howard and Michael Howard; sisters, Karen Eastman of Houston, TX and Kathy Long of Jacksonville, FL; many dear friends. Donations may be made to the American Cancer Society or Bridgeway Hospice in lieu of flowers. The family will receive friends Monday from 6:00 - 8:00 PM and Tuesday from 10:00 - 11:00 AM at Bill Head Funeral Homes and Crematory, Duluth Chapel, (770) 476-2535.